Entering into an international market can be a true challenge. Each marketplace is nuanced in their needs and tensions, so the ability to pivot & adapt to meet these differing needs is crucial. Glow Recipe is a Korean skincare startup, whose founders nurtured and developed their brand for a US market. Simple, fun and a little bit playful, at the time of the brand’s launch, the Korean beauty trend was on the cusp of mass adoption, and by understanding how to re-position their Korean offering, Glow Recipe has become one of the most desirable skincare brands in the US. Their hero product, Watermelon Glow Sleeping Mask, sold out 7 consecutive times, and has a waitlist of 5,000 customers. Read more about Glow Recipe’s success here and here. How can we re-position successful offerings to tap into new markets in a way that is truly relevant? Despite the retail slump, direct-to-consumer brands are continuing to prevail. While many factors have led to the success of these brands, their relentless drive to seek out consumer data and constantly iterate to better meet the needs of consumers underpins their success. 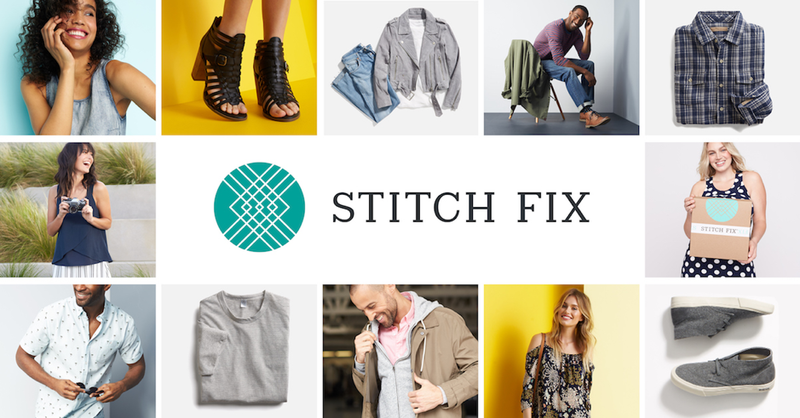 Online shopping and styling service, Stitch Fix Inc. is revolutionising retail shopping by offering hand-selected pieces of clothing sent directly to consumers… but unlike traditional retail, consumer don’t see the clothes until they’re at their door. Instead, Stitch Fix Inc. asks consumers to complete a style survey with preferences around sizing, colours and style. However, understanding that consumers attitudes and preferences don’t always match their behaviour, Stick Fix Inc. combines the survey data with machine learning to more accurately match consumer preferences with their range of clothing. How can we better use consumer data to deliver hyper-personalisation and take the effort out of product selection for shoppers at the same time? Culinary mash-ups continue to surprise & delight. From the original mash-ups like cronuts to the new iterations like suhirritto’s (sushi burritos), this trend has permeated modern eating. At their core, culinary mash-ups combine familiar elements to create something entirely new. They allow experience seeker foodies to explore new flavours and formats within the ‘safety-net’ of familiarity. Understanding this, and pushing the boundaries on this trend, is Sydney-based café Devon. Their ever-changing menu is filled with unusual and unexpected mash-ups, like soft serve hot chips and instant-noodle sandwiches. The latest addition to their menu includes bubble tea sundaes. Read more about Devon Café’s innovative approach to food here and here. How can we repackage trending formats and flavours to surprise & delight adventurous consumers?